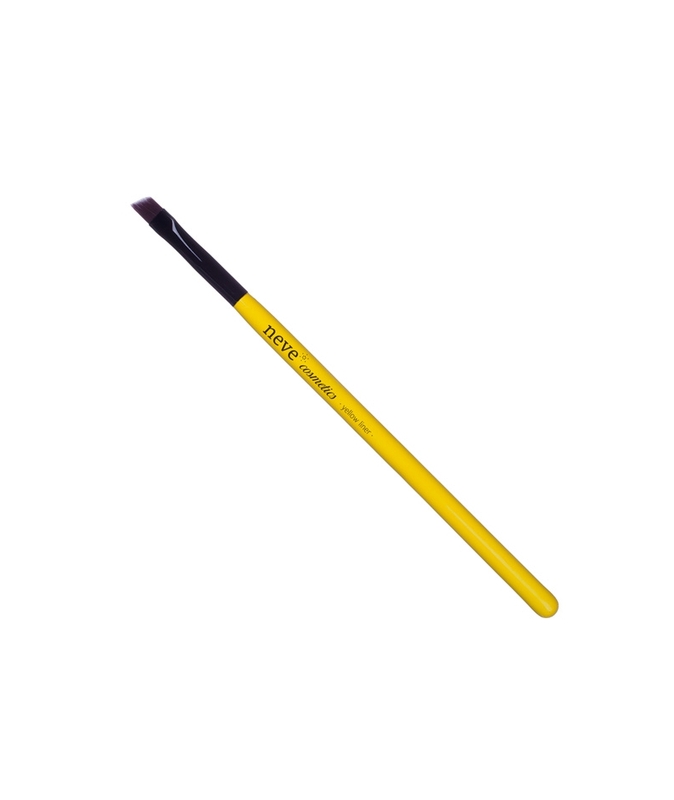 Thin, chisel brush. 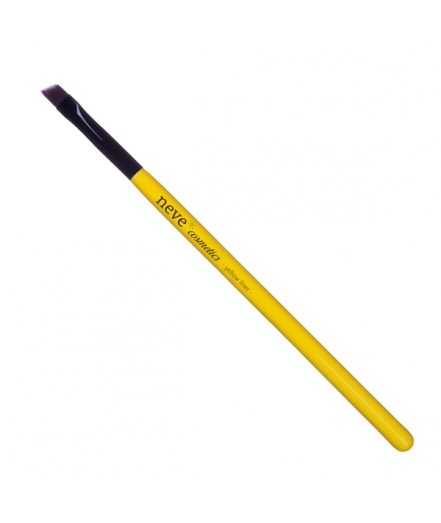 A professional tool for defining your eyes by drawing straight, even lines with a simple, fluid motion. 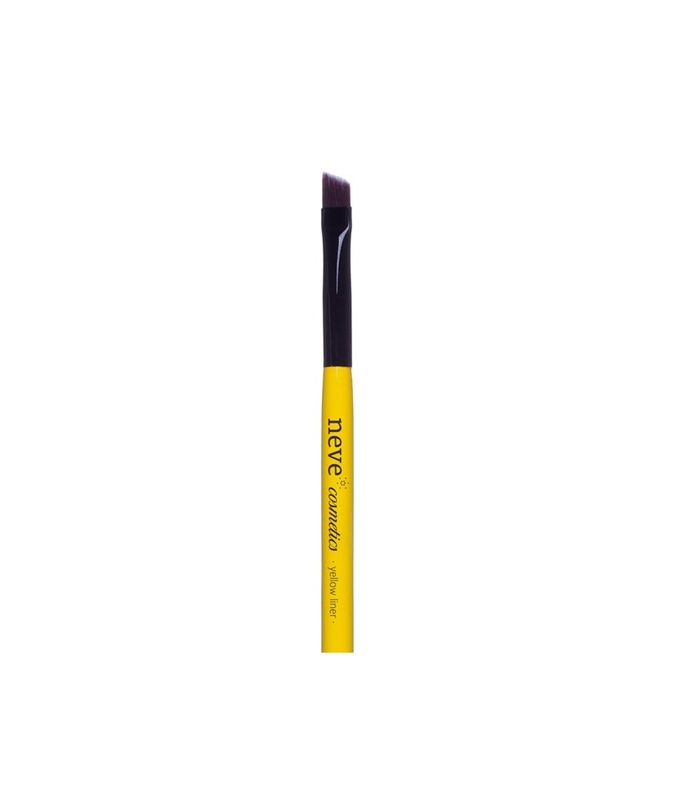 This brush can be used with mineral eyeshadows, traditional eyeshadows, and gel or cream eyeliners. Lemon yellow, varnished wooden handle with a shiny finish, shiny black, polished metal ferrule, dual-colour bristles made from cruelty-free synthetic fibre. Max. brush lenght: 17,00 cm. Max. hair lenght: 0,80 cm. Max. handle width: 0,75 cm.